Looking for a property in Mahape? Have a property in Mahape? 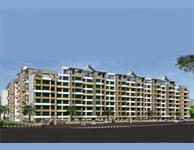 Mahape is in Thane-Belapur Road nearly 8 Kms from Vashi & 14 kms from thane. It is well connected by local trains & BEST and KSRTC buses. Technocity is opposite to Millenium Business Park. Technocity has twin 8 storey towers. IT & ITES companies are allowed to function. Tchnocity is now a cooperative Society administered by a Committee of elected members. It is well maintained with 24X7 security. Towers have 2 lifts each. Railway station is only 1 Km away from Technocity. Mahape is fast growing business hub and IT zone in Navi Mumbai. Many reputed MNCs like L&T, Capgemini, Hexaware among others. It is next to Thane Belapur Road which in turn gives good connectivity to Thane, Western Mumbai and South Mumbai as well as Panvel and Pune. It has good coverage of all public buses like NMMT, BEST. It is very near to Ghansoli and Koperkhairne railway station. Mahape is centrally located and is a convenient for all office goers. It has fantastic connectivity with THREE Railway stations with 3 km ( Koperkhairne, Ghansoli & Rabale) and has very good frequency of trains from Thane, Panvel, VT, Vashi. ST Buses ply very frequently from Thane, Belapur & Panvel. Taxis are abundantly available as large corporate houses of Reliance Industries, Reliance Communication & L&T are within 1 km radius. It is very well connected byroad with THANE-BELAPUR highway passing thru it on one side and another Shil-Phata highway passing from the other side, so multiple roads ar available to reach this place. Very good restaurants ( 3 & 4 star) are available with full fledged services with in 1 km radius. Mahape, Navi Mumbai is rated 10 out of 10 based on 3 user reviews. Have a good knowledge of Mahape? Share it and become a Locality expert. Available industrial premises on rental basis at Mahape MIDC industrial area. ID: P96235610 — Posted: Mar 26 by Nitin . Available Industrial Premises on Rental Basis at Mahape TTC MIDC. Industrial Building available in Mahape Midc on main road.